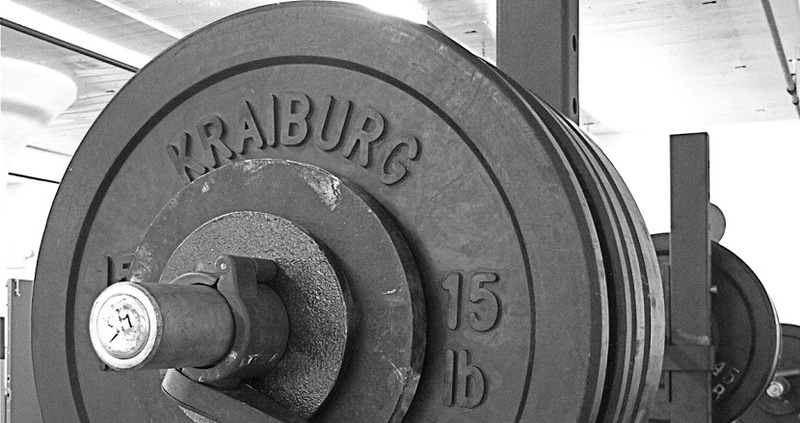 I’ve been meaning to write a follow-up post to my last one on strength training for some time. Sadly, my job and other things have really blocked my time. The Most Valuable Missing Ingredient in Your Fitness Routine – Michael Hyatt. It is a great read (and a short one). His five reason are good. I also think that “bulking up” should not be discounted for people because, as they get older, what it really means is that they don’t shrink and lose muscle mass as fast, if at all. The primary benefit of strength training is that it makes you get stronger. There simply is no need for any further justification for a living human being, especially since it takes so little time. If you have hands and feet, arms and legs, then you have a calling to stand up and lift things. It is what you are for–not everything, but a definite part of your calling as a creature. So get stronger because you should be stronger. You should at least take the very small amount of time required to get the “low-hanging fruit” of your potential strength. And then you will also reduce muscle mass loss and gain those benefits that Michael lists in his excellent post. This entry was posted in Tumble and tagged barbells, strength training on June 1, 2015 by mark. Sometime in December, after my last birthday but before Christmas, I started the no contract $10+ gym “membership” (the + is because of an annual fee you pay to keep the $10 from changing). Later, I changed locations before realizing that the closer newer gym had much more restricted hours for the cheap non-membership so I ended up springing for the $20/month 1-yr obligation. (Supposedly I get to go month to month afterwards, but I’m sure some fine print will suddenly spring out at me then). If you’re worried about how you look (lean and all that) I’m not going to have much to say to you. I have thinned out in places that I hadn’t noticed could thin out, but the stuff I notice in the mirror that reminds me I’m not a teenager any more is not changing noticeably. I think it shows weakness of soul that I am even aware of this. But if you are wondering if you can feel better and do more and perhaps sleep better and be more comfortable “in your skin”–as the cliche goes–I may have a few things to say that are helpful. Since I never ever go to the doctor, I can’t tell you anything about health in any objective sense. I feel stupid I did not begin by getting my blood pressure checked at one of those cuff machines in grocery stores… but I didn’t think of it at the time. Also, I changed up my eating at about the same time I started visiting the gym, so I have not tracked independent variables. I’m somewhere between paleo and low-carb. The differences between now and past low-carb attempts are 2, as far as I can tell. 1: I purposefully pursue vast quantities of fat, especially in the morning (butter and coconut oil in my coffee). 2: I never look at processed “low net carb” snack bars or anything that keeps me using wheat. Again, I don’t have a physique that allows me to write in a testimonial to Mark’s Daily Apple or RobbWolf.com. I started doing this and within a month realized I never wanted to eat any other way ever again. It doesn’t feel like a diet. It feels like I kicked a drug addiction. I don’t think a day goes by that I am not grateful to have discovered this and managed to try it long enough to reach the point that I noticed a change. I feel like a god, no longer subject to the cravings for snacks that I thought were normal mortal existence. I should add that for awhile I tried the “Bulletproof Diet” plan for losing weight by fasting (other than the coffee) until 2pm. I quit for gym reasons but haven’t noticed any change in weight. I started going and not being sure what to do. Eventually I decided the point was to spend as little time there as possible but to make progress. I wasted more time on youtube trying to learn what to do both in terms of technique and strategies than I did at the gym. For awhile I only went two days a week, but now I’m going three just to make my progress a bit better. When I started I also went for stress release. I think the gym will help you with that, but I’ve had second thoughts about making physical activity a stress reliever for specific stressors in your life. It seems like just another “addiction” waiting to happen. Wine is good too, but I don’t think you should use it that way either. So I’ll skip a bit and tell you some of the later developments. 1. pick stuff off the ground. 2. lift stuff, even over my head. I eventually found stronglifts.com and adopted most of it. Stonglifts along with some stuff from Mark Rippetoe of Starting Strength taught me that I didn’t need to have deadlift day separate from squat day and that I could do squats every day. (I’ve since changed back some; see below). Stronglifts also introduced me to the Pendlay barbell row which I think I like a lot though it is tricky to keep your lower back from hurting. (You hold your torso parallel to the floor and lift a barbell up to your chest with just your shoulders, back, and arms). I never did bench press. It would be good if I wanted to do “accessory movements” to improve my overhead press. But I never had anyone to spot me and was too shy to ask for help from strangers. I also don’t see much value. If I was worried about escaping from a coffin, I could justify floor presses. But how often are you going to have free range of motion in the elbows. Also, as I sit here at my keyboard, I am constantly stretching out my back muscles and tightening my chest muscles. It is much more important to most of us to strengthen the back and pull the shoulders back. So, for the most part, especially since late summer, I have been going to the gym and squatting with a barbell balanced on my back (resting on the shelf formed by contracting my shoulder blades together), lifting a barbell from about collarbone level to over my head with my elbows locked and my shoulders pulled up toward my ears as high as I can go, and then alternating: either deadlifting or rowing a barbell. So I had an ABA week followed by a BAB week once I started going three times. Three exercises and then I went home. Stronglifts.com wants you to go 5×5 (Sorry: 5 sets of 5 repetitions of the lift). 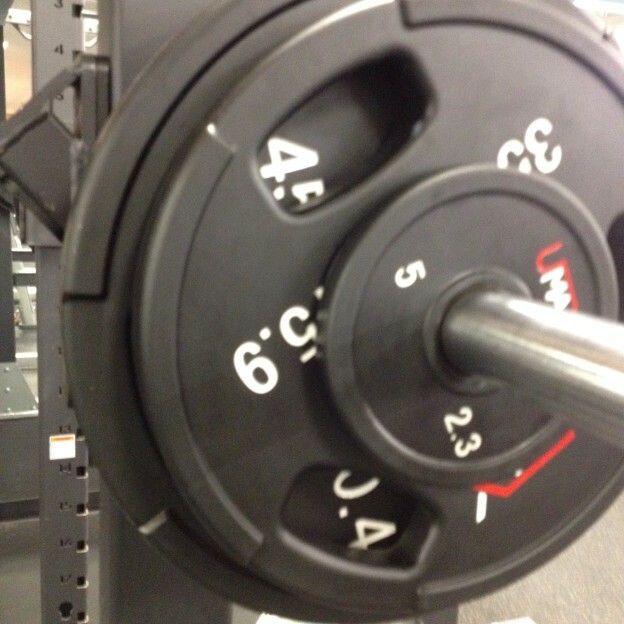 Eventually the weight got intense enough for me that I had to rest several minutes between each set. My gym time was exceeding and hour and a half. Hated that. Did some research and found out that the original 5×5 programs involved two warm ups at a lesser weight and then three for your max. So I changed to a 3×5. But as the weight got heavier, I still hated how much time this was taking. So now I’ve gone back to never doing squats and deadlifts on the same day. I also think I have reached the end of how much I can try to add five pounds to the bar everytime I overhead press. I’ve “deloaded” several times (take off about 20 percent of the weight and try again each workout session to add five pounds in the hope that you will surpass plateau you could not previously exceed after two workouts trying). But even that stopped working. So I’m now trying something different with the overhead press. I am now getting in and out of the gym in an hour. Love that! So what are the results? Well, I am pretty sure I am stronger than I have ever been in my life, including in high school when I meticulously did vanity workouts with lots of attention focused on chest, biceps, and triceps. It doesn’t help with sports like football, but I participated in a treetop obstacle/zipline course and didn’t even notice the effort as far as fatique or soreness afterward was concerned (also, the butter and coconut oil seem to have made my skin impervious to sunburn–no, I am not making this up). Life is easier when everything gets lighter. Pretty soon I’ll reach my potential in all the lifts and have to try something different. I won’t do complicated schemes that require more time and attention to make further progress. I’ll do something simple that keeps me bumping against my ceiling. I want to make sure I lift to live, not live to lift. And I also might pursue other methods. A little while ago my daughter challenged me to try a chin up. I shocked myself by getting up to eye level or higher. A year earlier I would have told you that would require a sprinkling of pixie dust and happy thoughts. I didn’t think a single chin-up would be a reasonable possibility unless I lost a lot more weight. I don’t endorse bodybuilding (or condemn it), but if you need to know this, your body does change. I used to have a visible corner to my quadricep in high school and college, now I have two corners on either side of my leg. (If you are expecting a picture you don’t know me at all.) Everything gets harder. Oh, and if you are really sore every time, you are doing it wrong as far as I can tell. I can see getting sore at the beginning or when you do something new for the first time. But mostly I just feel energized now. My advice would be to do the program at stronglifts.com for as long as it makes sense. Start at the 5×5 and then move to 3×5 when it starts to take too long. Just make sure you don’t take it too seriously once you leave the gym. And don’t write a long blog post about what you have been doing. That’s just pathetic. Postscript: I forgot to mention that I stopped my bulletproof fasting because I became concerned that it was slowing my progress. That’s the another thing that happened: priorities shifted. If I could gain weight to get stronger, I would. (I haven’t gained any, but just saying). This entry was posted in Tumble on November 29, 2014 by mark. Surely I cannot be the first person to think of this, right? 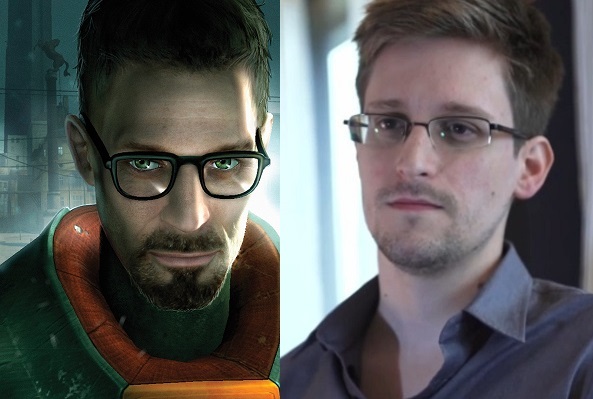 Gordon Freeman and Edward Snowden–separated at birth? This entry was posted in POLI-ECON, Tumble on October 14, 2013 by mark. 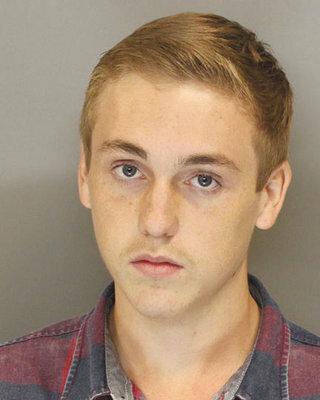 This story by my co-worker Phil Hodges has me shaking with rage. We see people wringing their hands in the media (often to the point of absurdity) about violent video games. But then when some real boy is discovered who actually can survive and work in meatspace, they try to imprison him and basically destroy his life. The modern state is pursuing the formation of a domesticated male. And they are willing to get brutal to get what they want. This entry was posted in Tumble on October 5, 2013 by mark. This entry was posted in Tumble on August 20, 2012 by mark. We need to take off the spacesuits and adapt to the Bible. In his 1952 SciFi classic, City, Clifford D. Simak wrote of an attempt to colonize Jupiter by transforming humans into an entirely different race of creatures called Lopers. The problem was that none of these transfigured humans were returning to report their findings. Finally, the base commander, fearing he had sentenced others to some strange death, volunteered to go himself. What he found was that, as a different creature, Jupiter was a paradise. Rather than a place to endure under artificial conditions, as he had been doing, it was now a perfect home for him. No one had returned because they could not endure being changed back into human beings stuck under a metal dome in a crushing gravity field. This is a fitting metaphor for how Christians should know their Bibles. Rather than throwing life-support systems over a small part of the Biblical world (mainly the Gospels and the Pauline Epistles, and not even them completely), Christians need to be transformed to be at home in the Bible—the whole Bible. They need to adapt to Scripture rather than trying to remain in a few places that seem comfortable. I get a fair number of visitors who express gratitude for something or other I write about the Bible. Most of them have probably already discovered Biblical Horizons, the teaching ministry of James B. Jordan. But if you haven’t encountered him yet: I pretty much owe him my eyes. At least when I read the Bible. If you could support his work, I believe God would be most pleased. It would be money well-invested. This entry was posted in Tumble on August 15, 2012 by mark. This entry was posted in Tumble on July 4, 2012 by mark. When a man takes a wife and marries her, if then she finds no favor in his eyes because he has found some indecency in her, and he writes her a certificate of divorce and puts it in her hand and sends her out of his house, and she departs out of his house, and if she goes and becomes another man’s wife, and the latter man hates her and writes her a certificate of divorce and puts it in her hand and sends her out of his house, or if the latter man dies, who took her to be his wife, then her former husband, who sent her away, may not take her again to be his wife, after she has been defiled, for that is an abomination before the LORD. And you shall not bring sin upon the land that the LORD your God is giving you for an inheritance. OK, the grammar makes such an interpretation possible, but I still think the position is lacking. First of all, lots of things were already followed and yet are still part of God’s law and included in the Mosaic legislation. The Sabbath was observed, circumcision was practiced, and some form of the Law of the Levirate was acknowledged as binding. We ought to consider that divorce was practiced in that same tradition. 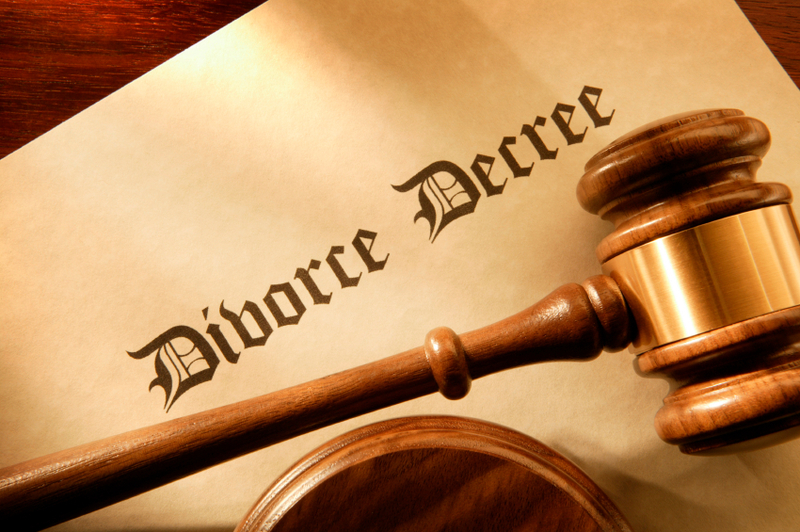 Secondly, Deuteronomy 22.19 and 22.29 specify circumstances where a man can lose his right to divorce a wife. So if God had to tolerate divorce because the Israelites wouldn’t give it up, then how was he able to control them enough to prohibit divorce in some cases? Third, we know the Law is a transcript of God’s character. The theory is that the actuall permission to divorce was not part of that Law. But how then does God himself follow this law? and for your transgressions your mother was sent away (Isaiah 50.1). declares the Lord (Jeremiah 3.1). So, how can something God actually does, and in so doing, appeals to the very law in question, not be a true part of the Law? This is no mere concession. And further, Isaiah and Jeremiah show that the sort of thing that is in view in the Law is actual adultery. Jesus was not adding anything to the Law or inventing anything new when he stated the “except for immorality” qualification (Matthew 19.9). So what about the statement in Matthew 19.8? “Hardness of heart” began when Adam and Eve sinned. “Hardness of heart” is involved in all marital infidelity. Before they sinned, there was no provision for divorce because no one was going to be unfaithful. Finally, one of the planks in the argument for the “concessive” view is that, normally, an unfaithful spouse was always executed. Thus, the divorce provisions have to be for some lesser reason. I won’t take up space here arguing the point, but I don’t think that is true. 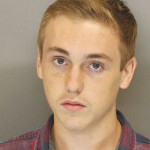 The death penalty was an option, but not mandatory for such cases. An injured spouse could extend mercy to the guilty but end the marriage. Finally, I’ve been using quotation marks for “OT” and “NT,” because neither one exists. This entry was posted in Bible & Theology, theonomic stuff, Tumble on June 9, 2012 by mark. Two words: iPod and Kindle. This post will stick to the iPod. 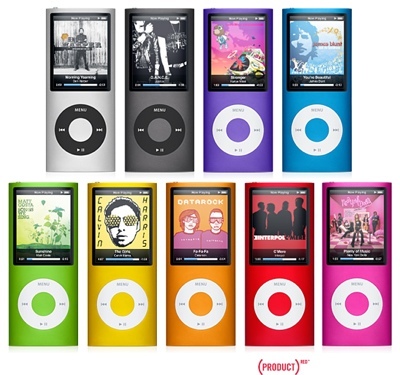 A few months ago, I was given a used iPod. Suddenly I didn’t have to listen to the radio anymore. I can just download podcasts and listen with few or no commercials. And consider how much free stuff is available! In both these cases, you don’t have to download individual files or zip files from your browser. You can actually get the feed for the podcast so that the whole series is available to you through iTunes. And this is beside what you can find through powersearching podcasts and the iTunesU via the iTunes app. There are also lots of news podcasts. I consider Antiwar Radio my daily dose of sanity in an insane Death Star nation. When I can stand it, I try to listen to the Friday Roundup with Diane Rhem, my weekly dose of Establishmentia. Ms Rhem is nice enough, and that is usually helpful (except when it is not). Sometimes over the top, but sometimes quite amazing. If you go to his website you will find another feed that includes all his audio offerings, but his podcast “reports” are much more valuable, in my opinion (at least, the ones I think are plausible are much more valuable). This entry was posted in Tumble on March 8, 2012 by mark.